Check out the #WhyWednesday tab to learn more about Chinese Medicine. For the past couple of weeks, I was really enjoying how much fun and catchy Taylor Swift’s new song was. I would often find my husband and I dancing and singing to it’s entertaining beat. However, after playing it for like the 100th time, I finally decided to really listen to the words and look up the lyrics. After doing so, I now find myself really upset and mad at the song. The song is titled Look What You Made Me Do, and yes I know that I should have figured out based upon the title that the song is all about Taylor Swift blaming others for the reason behind her new found personality. One that isn’t as sweet as the one before. If you haven’t listened to the song yet, she sings about blaming other celebrities, in addition to her ex boyfriends, for bringing upon her new persona. What bother’s me most about her logic is that as we start to age and get older, we begin to get a little rougher around the edges. It is a part of life. It is not always someone else’s fault. The Fall season has always stood as a time of reflection for me, and as I look back on this past year, I have noticed that almost everyone I know has in some way changed. This change comes with growth, and growth comes with growing up. For better or worse, experiences mold people. However, individuals are the ones who allow the changes that they have made, and no one person can change you unless you let them. Taylor Swift even sings about this and describes how she chose to let herself become more salty than the year before. In the end though, it wasn’t those other people who changed her, she changed herself because growing up causes you to deal with challenges that you would never have thought you would face. Even though that line is very fun and catchy to say, it is horrible. She is blaming these people for literally killing the person she used to be. Poor Taylor, they didn’t kill you. You just changed, and that is ok. This song would have been better as an anthem for change instead of a blame song. I know this song is already a huge hit and I am assuming it will only get bigger. It has everything a good number one hit needs. Catchy chorus, background music that is easy to dance to, and a fun little line in “Oh, ‘cause she’s dead.” I just wish this song was different. In the immortal words of Whitney Houston, “I found the greatest love of all inside of me.” If you want to change, change but do it for yourself and not because of someone else. Sleep is important but it can also be a pain in the neck (pun intended). Your pillow can either help your sleep or hurt it. I tried out four different pillows over this last year to try and help people find the perfect pillow. To some people sleeping without a pillow can also be beneficial. Sleeping position is also very important. You can read more about the best sleeping position in this article Am I Sleeping Wrong. Mediation is a tool acupuncturists use to make their treatments last longer. It allows your body to be in the parasympathetic mode, which helps the healing process. Nowadays it is done in schools to help children relax and concentrate. It is important that everyone starts to mediate. Thankfully there are many apps that can help you start meditating today! Most of the mediations are short and free. All of the meditations that cost money are worth it, plus the money goes to charity! Andrew Johnson’s voice is very soothing. You can choose the length of your mediations. This app keeps you on track. It reminds you to meditate. It also has great mediations for whatever you are going through. The drawback is most mediations cost money. I think explaining qi to someone is the hardest concept to explain in Chinese Medicine. People just assume it is energy, in a way it is, but it is so much more. Recently I heard Justin Timberlake’s, Can’t Stop the Feeling, and finally I feel like I have a way to explain qi. The first line of the song is, “I got this feeling, inside my bones It goes electric, wavy when I turn it on.” I can basically stop writing right now because that in itself describes qi. That electric wavy feeling is your qi moving. If qi is turned on from something as simple as dancing you will be happy. However, if qi is stagnate, it can lead to anxiety or anger. An acupuncturist will always try to balance out a person’s qi. Usually we are trying to get our patient’s qi moving. The song continues to address concepts related to qi. “I got that sunshine in my pocket. Got that good soul in my feet I feel that hot blood in my body when it drops.” When qi is moving blood is moving more freely. Healthy qi flow helps you stay warm and happy. The hot blood I am assuming Timberlake is singing about is that fun feeling we all get when we see someone we love, do something exciting, and even dance. The hot blood is a rush of qi and it feels good. One of the last versus of this catchy tune helps really put the finishing touches on explaining qi. “Ooh, it’s something magical It’s in the air, it’s in my blood, it’s rushing on. Don’t need no reason, don’t need control. I fly so high, no ceiling, when I’m in my zone.” Qi is magical, it is in the air and it is definitely in our blood. Qi is a feeling that helps you feel alive. Have you ever had writer’s block? You feel stuck and then you clean the house or go on a run. Once you start moving all of a sudden you will have the best idea. That rush that leads you to be in the zone is qi. Qi needs to be moving for us to be our best. It is common around 2 or 3pm to feel exhausted. Often we will say we are our waiting for our second wind. Recently standing desks and activity breaks at work have been helping that late afternoon crash. It is because both standing desks and activity breaks move one’s qi. Qi movement is vital to be healthy. That is why I am recommending that in the late afternoon everyone blast Justin Timberlake’s, Can’t Stop the Feeling, and get their qi moving. It will help you and everyone around you be healthier and happier. Please post a picture or video of you dancing with the #TheQiMovement around late afternoon. Trying Different Fruits and vegetables! My husband and I decided to try new fruits and vegetables this year. It has been a fun and delicious journey. Our three favorites have been cucamelons, red bananas, and prickly pear cactus fruit. 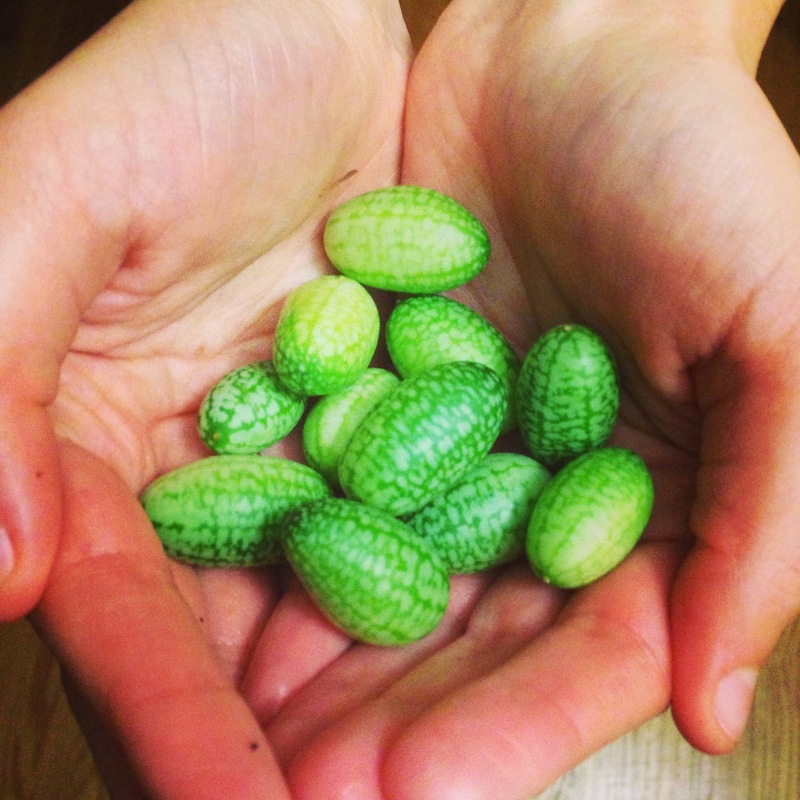 Cucamelons look like little watermelons but taste more like juicy cucumbers. Cucamelons are native to Mexico and Central America. They are delicious and a healthy snack to have during the day. The good thing is you can pop them in your mouth just like popcorn but unlike popcorn these tasty bites are packed with vitamins and nutrients. Check out more information about cucamelons. Red Bananas look exactly like bananas but are red. They are sweeter than bananas and a little thicker. They are also called Cavendish and can be found all over the world. They are especially delicious to bake with. Find out about the health benefits of red bananas. Prickly pear cactus fruit is perfectly sweet. The only issue is this particular fruit has large seeds that are hard to chew. 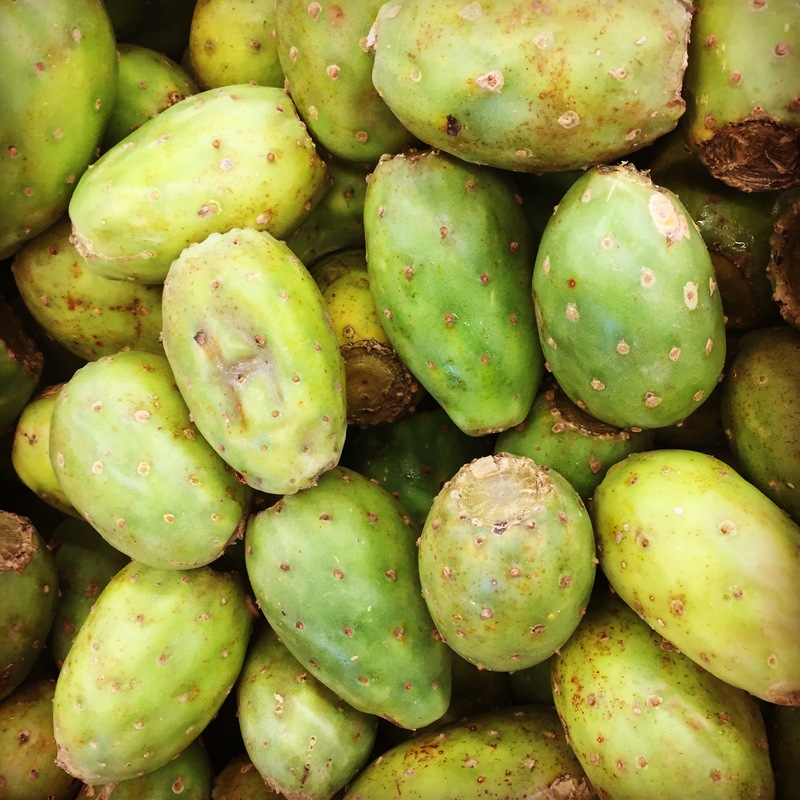 The taste and health benefits of prickly pear outweigh the seed problem. They are in season in late summer and grow in dryer climates. I would recommend eating one, you will not regret it. I look forward to trying more new fruits and vegetables and keeping you posted on their taste and health benefits. Add a comment below if you have a good fruit or vegetable for us to try. I am posting a food from each color of the rainbow to promote eating colorful food! Eating different colors is important and fun! Watch the movie Hook, when they imagined good food they imagined colorful food! Instead of eating Superman ice cream, which was delicious as a child, eat colorful foods that have wonderful health benefits! R- Cranberries do more than just fight UTIs. Check out all the health benefits of cranberries! O-Oranges are one of my favorite fruits. They are sweet and delicious and very cooling on a hot day! Check out how they might reduce inflammation. Alternative orange food: Sweet Potatoes! Y- My favorite fruit is a banana! They taste amazing alone, in cereal, in smoothies, honestly you can put a banana in anything and it will taste better. Bananas are also very healthy for you. They can help with muscle cramping, depression, and more! Below are 25 reasons why you should eat bananas every day! You need more yellow? Eat this- pears, lemons, golden raisins, and bamboo! Another amazing yellow food: Spaghetti squash, which is great for people who are gluten free! G- Broccoli can help fight cancer, arthritis, and aging. Broccoli is delicious in stir-frys, by itself, or in a casserole. Make yourself a broccoli dish today! B- Blueberries taste delicious and are very nutritious. Blueberries can help fight your Monday blues because they give your brain a boost for the week. I- Purple cabbage is packed with vitamins A, C, and K! Also, the purple coloring formed by anthocyanins contains antioxidants that help fight inflammation and even cancer. Find out more about purple cabbage below! Want more indigo/purple- Check out purple grapes, blackberries, and eggplant! V- Elderberries used to be applied to the skin to help cure wounds! Nowadays they are used to help with respiratory health! Be careful do not eat uncooked or unripened elderberries. Here are more violet foods for you to munch on- Mulberries, passionfruit, passionflower, purple plums, sage flower, and thyme flower! April 22nd is Earth day and in honor of Earth day we should all go green, with our food. We can drink green tea, eat green leafy vegetables, or add green super foods to our shakes. This week I will be sharing articles about the health benefits of going green ;)! Popeye would be proud to know that spinach is still making people strong. Spinach has many vitamins and nutrients like iron, which helps keep you Popeye strong! Collard greens are more than just southern comfort food. They are also healthy, which is comforting to know. Swiss chard is perfect for people who get grossed out by eating green because it is also red! It is packed with vitamins and nutrients especially vitamin K. Vitamin K protects your bones and your heart. Also, a deficiency in vitamin k can be linked to Alzheimer’s disease. So start eating swiss chard today! Kale has been the most popular green for awhile because it is packed with vitamins a nutrients. It is also delicious if prepared right. Keep eating green and try Kale. Spirulina is an amazing superfood packed with protein and immune boosts. While eating your greens you will be getting more protein than red meat! Check out the link below to find out why. Wake up in the morning feeling refreshed and go to bed feeling relaxed with the same drink. Green tea can help improve your brain function to help make you more focused during the day. Click the link below to find out how it can also boost your metabolism! Help fight cancer, diabetes, fibromyalgia, heart disease and obesity with one simple single celled green algae. Find out more by clicking the link below! Thirty days ago I said I would start oil pulling to see what all the hype was all about. After oil pulling twice I couldn’t believe how smooth and clean my teeth felt. Oil pulling for thirty days was not hard because I am hooked and I will probably continue oil pulling forever. During this journey I have done extensive research about oil pulling and there is scientific proof that oil pulling is a natural and effective way to fight cavities, plaque, and gingivitis. Everyone who has started oil pulling with me knows how good their mouth feels from oil pulling. Start taking care of your oral health and start oil pulling now, your white smile is all the thanks I need. Read my day by day accounts below, enjoy! I am going to try oil pulling for 1 month to see if I feel any changes. Oil pulling is an Ayurvedic technique to improve oral hygiene. You take a teaspoon of coconut or sesame oil and you swish the oil around your mouth for 20 minutes. (Do not spit coconut oil into the sink it will clog the drain, spit it in the garbage) It is safe and I am testing to see how effective it is (I am also brushing my teeth and flossing while I try this experiment). 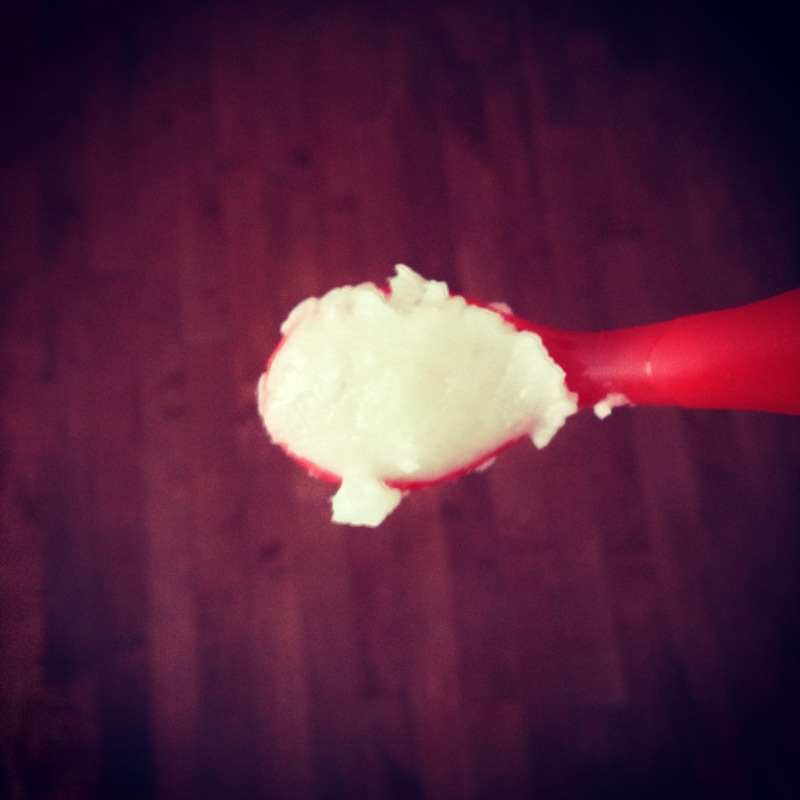 When I first put a spoonful of coconut oil in my mouth I was a little grossed out. I had been dealing with a cold for a couple of days prior to me starting the oil pulling, and it seemed to bring up a lot of mucus. The mucus created a gross texture. I ended up only oil pulling for ten minutes. However, whatever was leftover from my cold seemed to disappear. I was able to oil pull for 20 minutes. It was very relaxing. Later that day I noticed, after I woke up from a long nap, that my breath wasn’t bad. I am starting to get hooked. 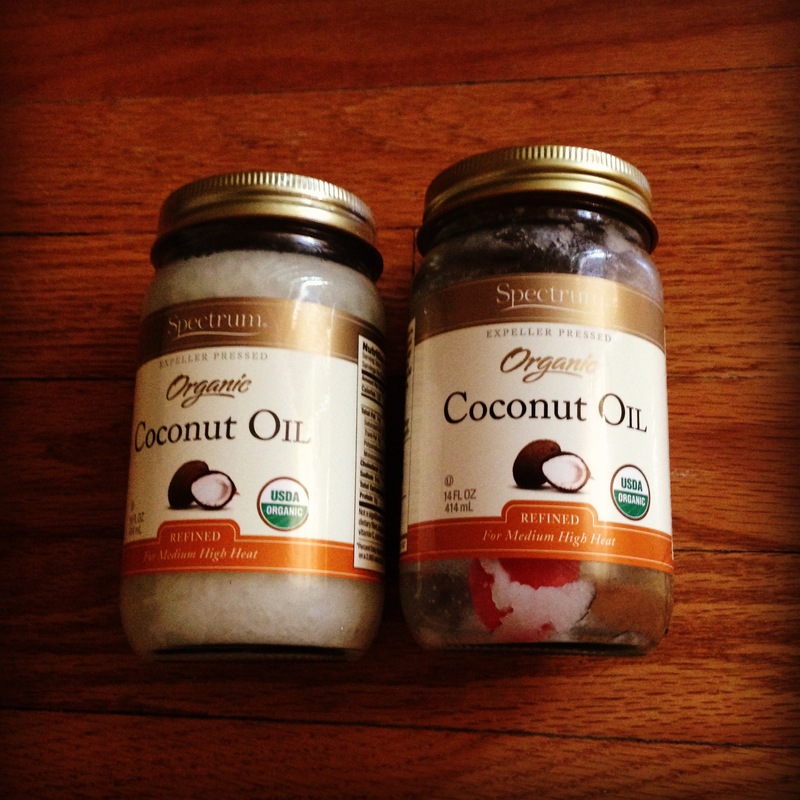 I tried oil pulling while I was in the shower to help save time. It wasn’t as relaxing but it still got the job done. However, I will admit it was hard to breathe in the shower while oil pulling. I wouldn’t recommend showering and oil pulling but if you need to save time it isn’t a bad way to go. I started noticing that my teeth looked whiter and felt smoother. The taste of the coconut oil was starting to become more appealing. I was told by many people to use sesame oil over coconut oil but after I did my research I decided to stay with coconut oil. I have been using the brand Spectrum. I woke up and my teeth felt great! It reminded me of the day I got my braces off, my teeth were silky smooth. I constantly catch myself running my tongue along my teeth. It also has helped make my breath stay fresh. I guess I won’t be needing a mint. Right when I woke up this morning, I ran to the coconut oil. I’ve become addicted to how good my teeth and mouth feel afterwards. I am also obsessed with reading articles about oil pulling. I recently read a Jezebel article about oil pulling, and it said that the oil is like soap being swished around your mouth, cleaning every inch. It really is, and my mouth has never felt cleaner. 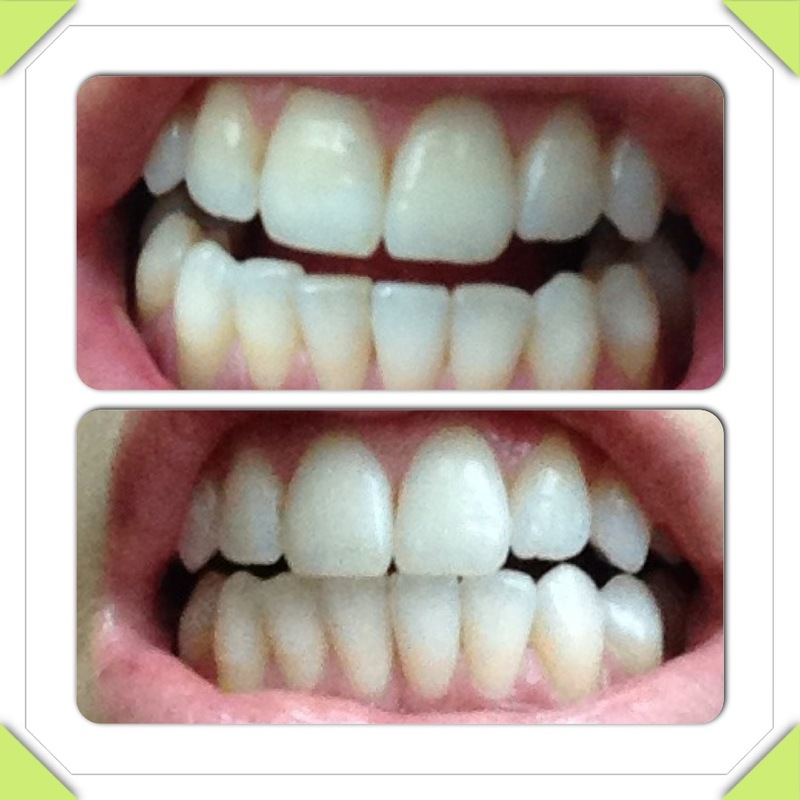 My teeth: Top is day 1, bottom is day 6. I am already seeing results! Last night I ate jalapeño cheese and within 20 minutes I started itching and breaking out. I decided to oil pull to calm down the reaction I was having. Not only did it calm me down, it allowed me to sleep through the night without itching. I am in love! I have decided to start oil pulling first thing in the morning, before I brush my teeth or drink any water. I read that it is what you are supposed to do, if you can, so I thought I would try. I like it because it is relaxing and it allows me to plan out my day. Oil pulling is doing more than helping clean my mouth, it is also helping me start my day right! I burnt the roof of my mouth eating soup, it was very painful. I decided to oil pull to see if it eased the pain. My mouth did not miraculously heal, however, I only did it once. I will keep trying and see how fast it works. I am still trying to heal my burn from yesterday. I also slept in a very dry house and woke up with my throat feeling sore. 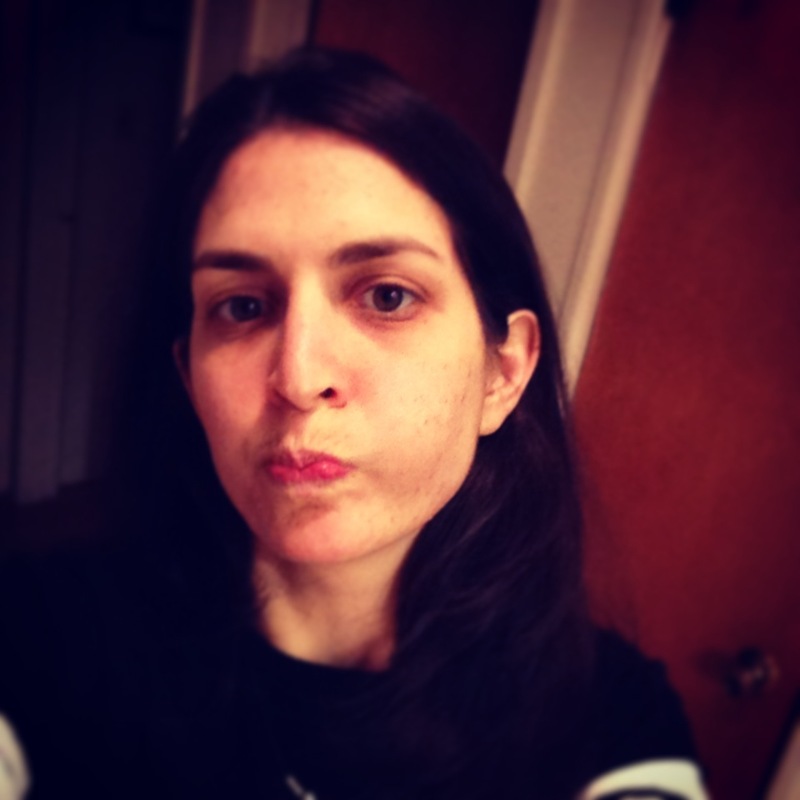 I had read that oil pulling helps cure a dry throat, so I thought I’d try to see if it worked. I oil pulled first thing in the morning and my throat felt much better. The oil pulling helped to lubricate my throat, relieve the dryness. All you need is a teaspoon! The burn in my mouth is better but not gone. I was told with bad burns that you need to oil pull in the morning and at night, however, I am only oil pulling in the morning. Without oil pulling it usually takes 7 days to heal, I am on day 3 so lets so what happen. The burn is almost gone! Yesterday I oil pulled in the morning and at night to help heal the burn faster. I also slept very well. I am not sure it was because of the oil pulling but oil pulling is supposed to help with sleeping. The burn is completely gone and my mouth still feels clean all day! When I wake up my teeth feel smooth. I am so thankful I have been oil pulling because my skin feels better and my teeth feel better. I have heard that the 20 minutes is too long for people, so start off with 10 minutes and try to work your way up to 20. You will thank yourself later! Still feeling great! I have some friends who are taking this journey with me and they are all reporting to me how good they feel. What a wonderful, natural way to keep our mouths clean! Yesterday my parents saw my teeth and immediately went to Whole Foods and bought coconut oil. I hadn’t seen my parents in 5 days and they noticed a big difference between my teeth within those 5 days. Yay, oil pulling! My dad called me and he loves oil pulling. He said his teeth felt smoother and skin felt better. The first day my mom had trouble oil pulling for more than 5 minutes. She said she had trouble breathing because she usually breaths from her mouth. Since she started oil pulling she started focusing on breathing from her nose, which is a better more efficient way of breathing. In the morning I started to feel congested. I did oil pulling and a lot of phlegm came up, I immediately felt nasal relief. Now I can go to yoga and really breath. I am still loving oil pulling and every day I get text messages, Emails and calls from people saying they have tried it and they love it. Keep up the good work everyone. Lately, the news has been bashing oil pulling by saying there is no scientific proof that it is effective. This week I will post different links to acupuncture in the news that prove that there are studies and they all have the same results, oil pulling is a natural way to fight plaque and gingivitis as well as prevent cavities. Found this in my parent’s house! Oil pulling is catching on! My teeth still feel smooth and look whiter. I heard Gwyneth Paltrow is also trying oil pulling. I wonder if she got the idea from me? It has been 20 days and I still get excited to oil pull first thing in the morning. I am so happy I took this challenge. I love it! Lately when I oil pull I feel like I can oil pull longer than 20 minutes. I feel so relaxed when I am doing it and I want to keep going. You can oil pull for longer than 20 minutes if you want or need. Don’t feel restricted by 20 minutes. I had a stressful morning and I needed to relax. 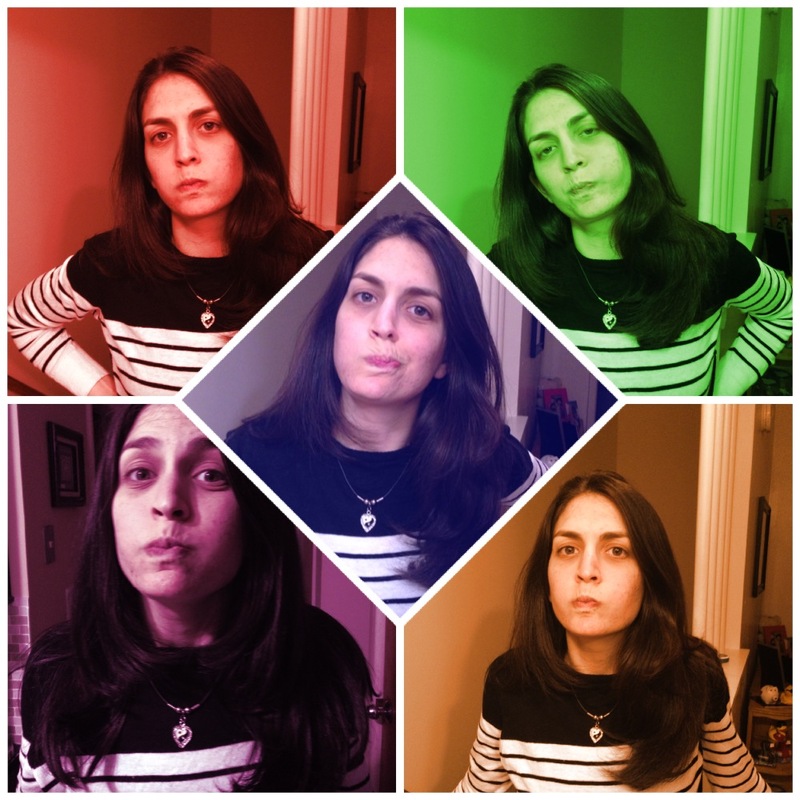 As soon as I started oil pulling I felt the stress and tension leave my body. I was able to calm down. 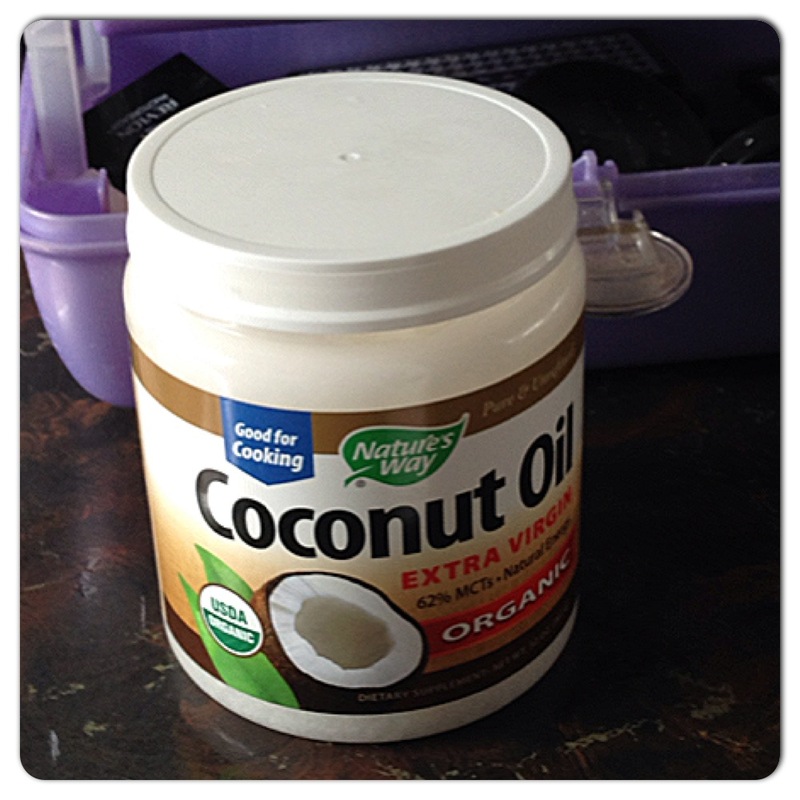 I don’t think it was the coconut oil that relieved my stress, I think its the act of oil pulling. It is a form of meditation for me because I am focusing on my health and nothing else. I have been trying to figure out if I should take my herbs before or after I oil pull. You are supposed to oil pull on an empty stomach but I feel like I dirty my teeth up if I take my herbs afterwards. I am taking my herbs after I oil pull and then I brush my teeth. My teeth feel clean and my skin feels good. I only have 5 days left of my experiment and I cannot believe how much better my teeth feel after just 25 days of oil pulling. I think I will be oil pulling for life. I took my herbs before I oil pulled this morning. I am hoping it will help make sure the herbs don’t stain my teeth. Oil pulling has really helped me focus on breathing through my nose. Every morning when I oil pull I am reminding myself to breath through my nose. I have noticed I am breathing better when I am working out because I am breathing more from my nose than my mouth. I have recently seen friends, that I hadn’t seen in awhile, and they marveled over how white my teeth are. There is no need for whitening strips that will hurt your teeth. Oil pulling cleans your teeth and makes them whiter! It is a win, win! I only have one day left of my 30 day oil pulling experiment, however, I know this will not be my last time oil pulling. I am hooked and so is my family. I did it!!! I oil pulled for thirty days and loved it. My teeth feel clean and look white. I am so happy I started oil pulling and I know I will never stop. It’s really fun reading what you write about your experiences, Dana. Been oil pulling on your recommendation and I agree my mouth feels great. Also am using on Psoriatic patches and itching has decreased drastically. After seeing your love for oil pulling, I decided to try it myself. I’ve pulled for almost two weeks and have noticed many positive aspects, including whiter teeth! I look forward to pulling every morning! Thanks for the tips Dana! This was really interesting and fun to read about. Love the pics too! Thinking about it…. Not sure I can do it for 20 minutes though. As a herbal medicine practitioner, do you know anything about Salacia (Salacia oblonga) for blood sugar and diabetes? I have yet to find a conventional physician here familiar with it. I read it is commonly used in Asia and some studies have been done by Dr. Mohamed Rafi, as well as it is being used or considered to be added as an ingredient in a chocolate truffle by Uzma Sharif.